Chandler-Gilbert Community College (CGCC) baseball program will honor alumnus and current New York Yankees pitcher James Pazos on Friday, January 29 at 6:00 p.m. during a pre-game recognition ceremony on the college’s baseball field. A sign with Pazos’ name will be hung on the field's outfield fence in recognition of his major league debut and professional accomplishments. Pazos, a 2009 graduate of Highland High School in Gilbert, pitched one season for the Coyotes in 2010 before transferring to University of San Diego where he pitched for an addition two seasons. He was drafted in the 13th round of the Amateur Major League Baseball (MLB) draft in 2012 by the New York Yankees. While at CGCC, Pazos posted a 9-4 record with a 1.94 ERA helping the team earn runner-up honors in the Region I playoffs. He also threw a no-hitter against Salt Lake Community College on February 17, 2010 walking three and striking out nine players in a 2-0 win. 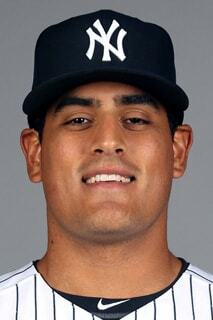 Pazos made his MLB debut in 2015 with the New York Yankees against the Tampa Bay Rays. "James had an immediate impact on our program as a freshman. From day one he had foundational belief in himself and an unending willingness to work," said Russell Luce, Head Baseball Coach at CGCC. "He was an amazing teammate and leader in his time with CGCC, and we are proud of him and his accomplishments. We are excited about his baseball MLB future."